If you’ve bought an Android box, or really any other streaming device, you’ll already know one important thing. They don’t come with a manual. They might…IF YOU’RE LUCKY come with a little leaflet that explains where to put the cables, but that’s usually it. It’s the same thing if you have a PC. It’s easy to find someone who’ll sell it to you, but it’s up to you to figure out how to use it on your own. 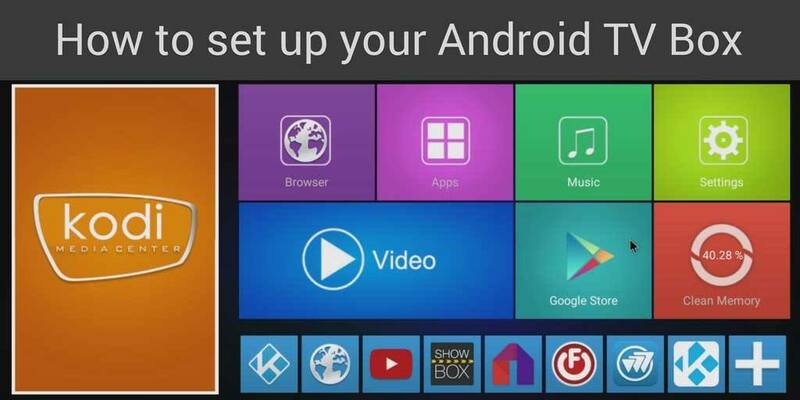 Android boxes don't come with a setup guide...so we created one. Download this FREE eBook! This is the fun part. Ripping open the box and hooking everything up. Really, I love this part. This is where you’re still excited about getting cutting the cord and getting a new toy. So let’s go over really briefly how to hook up your new Android box or streaming device. It’s only two connections really – three in some cases. First is the HDMI cable. There’s usually one in the box. If not, you can find one on Amazon here. Don’t get fooled into buying some super expensive, shielded HDMI cable with gold plated connectors for $50 or $100. Just stop. Find the Amazon Basics cable for however long you need it and you’re done. You shouldn’t pay more than $1 per foot for the cable. If you have a lot of corners that you have to squeeze around or an angry cat that likes to chew wires, then and only then opt for a braided cable. Otherwise, cheap is good. Second is the Ethernet cable. This one is optional. You can go wireless and that’s OK. Ethernet is faster and if you’re going to be streaming 4K, then you need all the speed (bandwidth) you can get. If you have the option, go wired Ethernet. If that’s not an option, you can still go wireless. Personally, I like to get a flat ribbon Ethernet cable. They take up less space and you can hide them easier. There’s no difference in performance. As long as you go with at least Cat 5e, then you’ve essentially future-proofed your wiring. The final connection is the easy one. Power. Find an outlet and plug it in. Just don’t overload your power strip and set the house on fire. Before you can do anything else, you need to connect to the Internet. Some manufacturers make you chose how you’re connecting the device before you even get to the home screen. If I’m being honest, I think that’s the way to go and more manufacturers should do it that way. If yours doesn’t, then you’re going to need to do it manually. Head on over to the Settings screen and click on Network. From there you’ll be able to turn on Ethernet or Wi-Fi and select your network. Once you’ve hit the power button for the first time, the first thing you should do is enter in your Google account. This starts the process of updating any preinstalled apps and syncing any data you want to have follow you from device to device. For those of you that are super-protective of your privacy and don’t want any of your data on your Android box, that’s OK too. Just create a different Google account specifically for this box. You’re going to need to do this to download any apps from the Google Play Store and get updates. 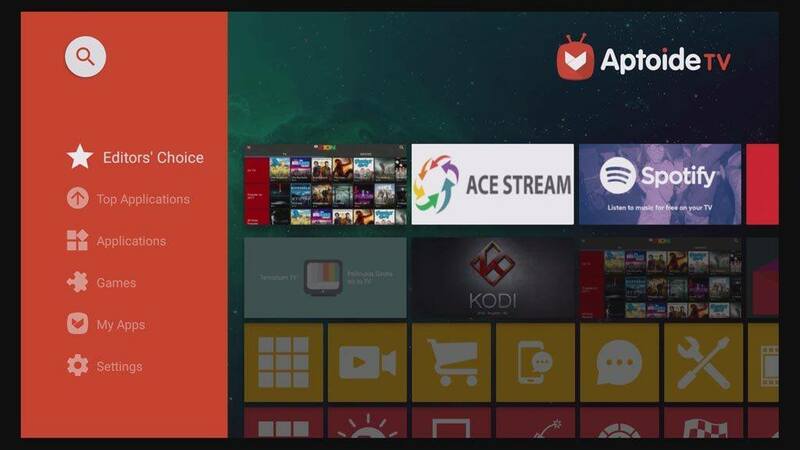 Aptoide TV is an alternative Android app store that has a ton of different apps to choose from. Even if you mostly use the Google Play Store, Aptoide gives you access to a bunch of different apps that Google may not like. For example, if Google and Amazon are fighting (like they normally are), you might only be able to find some Amazon apps on Aptoide. Either way, it gives you more options to choose from. Options are good, right? This is one of the most important steps and its one of the most overlooked. This goes for every device you own. Not just the streaming kind. Manufacturers come out with security updates and feature updates constantly. If you’re not updating your devices, you’re missing out. Worse still, you’re putting your system at risk. So I’ll warn you now, getting updates is different for every device. It’s usually found in an app, but it could be buried deep in the settings screen. It just depends on how the manufacturer sets up the device. In the Settings menu under About there is usually an option for System Upgrade. On the NVIDIA Shield TV you can also set system upgrades to auto-download when available from this screen. In the All Apps tab you’ll probably find apps called something like System Update or Update & Backup or simply Updater. Now that the system updates are done, here comes the fun part. 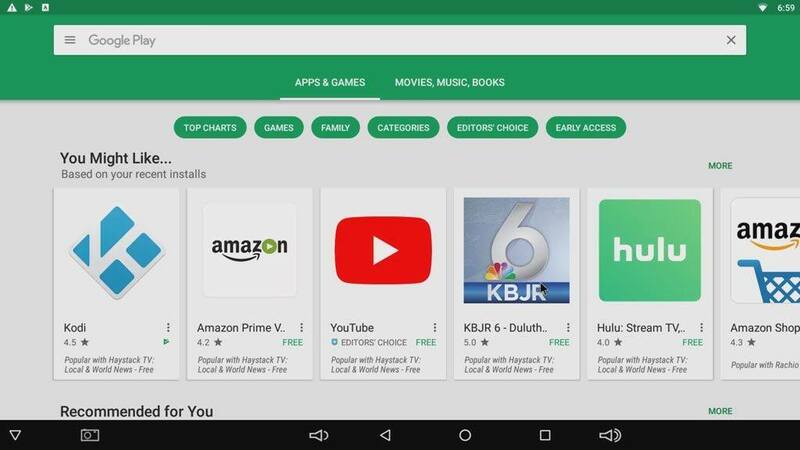 You can install apps in both the Google Play Store or the Aptoide TV app store in much the same way. No matter which one you decide to use, you should double check that your existing apps have all been updated. Hopefully we started the process earlier when you entered your Google account information, but let’s double check. Open the Google Play Store and click on the three horizontal bars in the upper left hand corner. This will open the side menu. You’re going to want to click on My Apps & Games. This pulls up a list of all of your installed apps and will tell you right away if there’s any updates available. If so, go ahead and click on Update All. This will probably take a few minutes do download and install everything, depending on how many apps came pre-installed. Personally, I don’t want to be bothered doing this ever again, so I set the apps to update automatically whenever there’s a new version. Back on the side menu (click the three horizontal bars again) you’ll see a Settings section near the bottom. Click on that. Under the General tab, you’ll see Auto-Update Apps. Inside there you’ll get a couple of different options to turn auto-update off completely, only update via Wi-Fi or to update at any time. I enable Auto-update apps at any time. Now you never have to worry about if you’ve got the latest version of an app or not. If using Aptoide TV is more your thing, then it’s easy to keep things updated as well. Aptoide TV has a cool feature that lets you see how many updates are available as soon as you open the app. On the side menu, scroll down to My Apps and you may see a little red circle with a number in it. In my case, it says ‘5+’. That means I’ve been slacking and I have more than five apps that need to be updated. A quick swipe to the right and I can see exactly which apps they are and also have the option to update them all at the same time. Then you need a VPN. Seriously. It’s not something you should play around with any more – especially if you’re streaming from sources that you’d prefer authorities not know about. There are a LOT of different options if you’re looking for a VPN for streaming. Personally, I use IPVanish. No VPN is perfect – and Ill argue with anyone who tries to tell you differently. 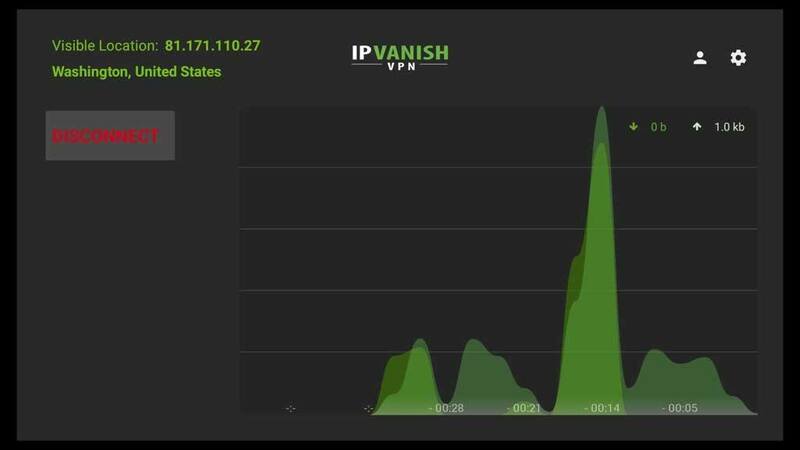 But, what I like about IPVanish is that it lets me (in the US) stream content from other countries (like Canada) and lets my fiancée who is overseas stream content from the US. This is what I believe: No company should limit what I can watch just because of where I live. A VPN lets me get around their limitations. For me, that’s well worth a couple of dollars a month. 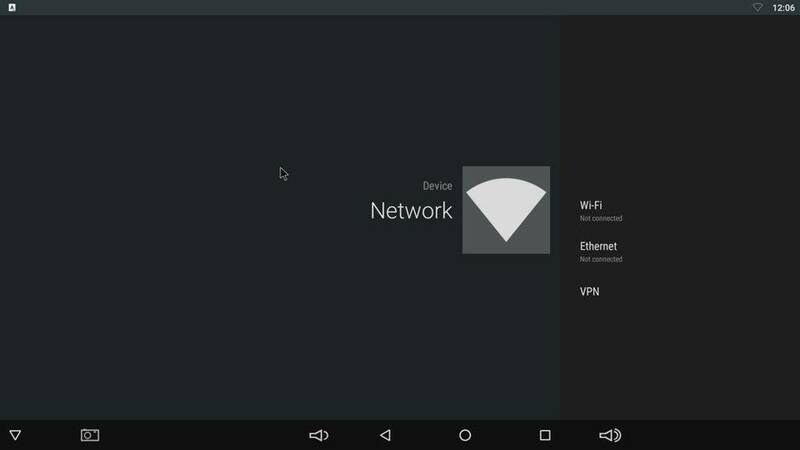 Kodi VPN crash course: Do I need a VPN for Kodi? Cord cutting guide: What’s the best streaming service? No matter what…enjoy the ride! Thankfully we have a firmware guide right here. My box did the same thing. Haven’t found a solution to it yet. My tv box a T95M worked perfectly but then it sort of hung and stopped working. No matter how many times I pushed on the buttons of the remote, it won’t turn off. I pulled the power plug and the small screen of the box showing the time did not show up anymore when I put the power on again. I feel I wasted my money on it. I have a question, Can I do multiple task on TV box at a time? Please tell me soon. Yes. 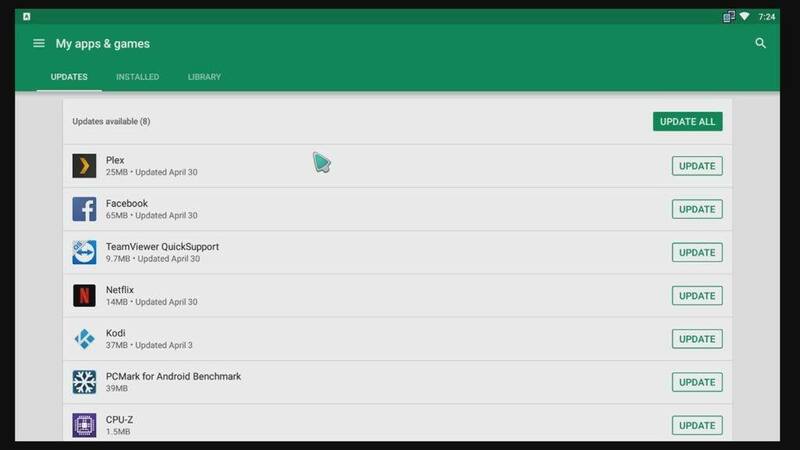 You can run background tasks on any Android device – including TV boxes. Can anybody please suggest me. The TVPro is an older unit from 2015. It was designed for Android 4.4, so it’s likely not going to be able to be upgraded much. Normally, I’d say to contact their support department, but according to some comments on their website, they seem to have no working phone numbers. You may be out of luck. Can I connect the box to a normal computer monitor like the LED monitor? Or I need to use a TV set? If your monitor has an HDMI input, any of the boxes on this site will work with it. If it doesn’t, you can still connect one with an HDMI-to-VGA or HDMI-to-DVI adapter. once connect how to you look at program? Just goes to show, even something as popular as Genesis isn’t going to be around forever. I found on youtube, the Genesis fork called Specto. Check out the air mice on the internet, there is an excellent one with normal remote one side and a full keyboard on back. Less than £20, a lot less. well let me tell you, I just pluged in a wireless keyboard and mouse in the usb port and wala, woreks fine…….. try it!!!!!!!!! Internet isn’t working on my box why? There are two solutions to this, 1. try a wired connection if your wireless and 2. try wireless. Check your internet settings the same as in your mobile phone, check your connected to the router and you have the correct password where required. Last and hopefully not needed, do a factory reset and start again. Please read my previous post, Also check your settings and ensure your box is connected, password an all. If all else fails, do the factory reset, it really is something silly that has gone wrong. I have an android box (emish ) which is a type of xbmc box however when plugging it in to the tv with the hdmi. Cable it will not keep the display it comes on then goes off again,can anyone help me to solve this ? It sounds like either the box or the power supply is going bad. Will it work on another TV? Depending on when it cuts out, it’s also possible that the resolution settings are wrong. If I can’t get a stable picture on the TV in order to change the resolutions which you suggest can I open the application on my laptop instead as I don’t have another tv ,and how would I open it on the laptop ? Unfortunately, you won’t be able to open the app on your laptop unless you have some sort of screen sharing software, or an HDMI-in on your laptop. This a really portable device, why not ask a friend if you can set it up on their tv, then take it home and try again. The settings for the picture are in settings, display, like your mobile phone. other TV then plug HDMI into my older TV it works. But when I switch off it reverts to original setting as if it was still on auto detect. How do you get it to retain setting ? Have you gone back into settings when connecting to the old tv and making sure all is safe, then save you settings. Also because this is a 5 volt device, do you need to turn it off. Leaving it on and just turning off your tv may save some issues. I have an TV BOX model MX III (Android) and isn’t on the “Firmware guide list” where can I find the last firmware ? Here’s my disclaimer: Firmware that is not specifically created for your device can end up doing harm to your system. When in doubt, contact the people you purchased your box from and find out what firmware they recommend. I have new android tv box today, can’t work, massage saying we can’t ind registration/serial number? Hi Hatem. I can’t think of anyplace where I’ve ever had to input the serial number of my TV box. What app is that? How do I set up password to enter internet. Hi Hope. If you open the “Settings” icon, one of the first options is “Wi-Fi.” Choose the name of your home network and it will take you through adding the password there. Love this site, thanks for the tips. To let you know, I installed both XBMC 13.2 and Kodi 16 on my MINIX 8H, works very well – separately. Then I downloaded a 12.3 XBMC and installed it on my PC which carries a Windows XP Pro, and used Fusion to load the TVAddons Wizard, works so well and smooth, no problems at all. Hi Frank. Good tip. Thanks for the comment! Hi.I bought an m8 box and set it up to the telly with cables in correct position and switched it on and added my WiFi password and everything is fine..I can’t even watch anything on it..do I have to download anything myself to start watching movies ect..can anyone please help….thanks..
Hi Phillip. Most boxes on the market come as “clean slates” that you configure how you want. The reason for this is that many add-ons may not be legal in all areas, so manufacturers don’t want to take on the risk of selling something they shouldn’t. Also, many add-ons have to be constantly updated in order to work correctly because their sources keep changing. Hi I was messing around with the settings on my MX box and ended up losing my video add ons like Genesis and phoenix etc and now cant get a decent stream to see movies, it was going so well too! Now its telling me to install SALTS but I don’t know how to can you assist please ???? Hi, check out this link, its pretty complex, but appears to explain about salts and how fully set it up. Hi – I’m totally new to Android and have set up my first Android TV box. I can find movies, they play well, but nothing in HD. I don’t even get a “pick which option to stream” – it just loads whatever comes up first, even if it’s a cam and I know there should be better quality versions. How do I change this setting? THANKS!! If your using showbox, try to change the server. When you activate a film or show a bo comes up. On the bottom left of this box, there is a server section, if a new server is available change to that and it will offer chance to change resolution. However, these are shared files and not all come in HD. I hope this helps to some extent, also checking the settings on all the streaming media your using may access an hdmi option for you. Needless to say, you will need to be connected to your tv or monitor with an hdmi cable. my XMBC tv box the day and date are wrong,tried to alter them but won’t alter, I have no programs loaded at all,when I try and load Kodi it says “no internet connection”,but it shows it on the setting page as connected.What is the solution. Think mobile phone, you will need to turn off automatic time and date setting and then reset them correctly. The device will probably not be able to connect through your ISP if your date and time are incorrect. Also check that your location is set correctly as this will also cause you time issues. I just recently purchased two mxq pro boxes for two different TVs and I do not have an HDMI hookup on either one so I ended up using the RCA wires the plug into the TV and the AV wire that plugs into the box and everything is hooked up correctly but when I turn it on and watch it on the TV all I get is the home screen that comes up in black and white and the picture scrolles randomly and doesn’t stop. I have checked all my cables and I have tried unplugging the system and then plugging it back in to reset it and nothing has fixed it. Does anybody have any suggestions because this is doing it on both of my TV’s and I’d like to get this running so the kids can watch there cartoons they used to. This sounds like the TV’s have an incorrect video setting. Can you change the settings in your TV’s settings menu to a lower or higher resolution. This depends on the resolution, the boxes work well at 1024 x 720 @ 60 hertz , I have tried other resolutions through a projector but this also causes issue, so if you can get the tv’s to accept 1024 x 720 it will be working fine. I definately would say you have a resolution issue, but if this fails, try a factory reset while connected to the tv. Factory reset is done by inserting a pin into reset hole on back and powering on while holding this in, 10 seconds would be long enough, please be prepared to reload all apps after this. Most apps are available on the google play store, but you can also get plenty from the android market. Hai… is it possible this android tv play a movie from external hard disk without internet connection?? Absolutely. That’s actually what Kodi was designed for – playing movies and music from your own network. Hello my friend, i bought an mxq pro tv box, and everything was ok. So yesterday i connect by mistake an amplifier -9 V – output instead of tv box 5V. Is it possible to fix it? I tried to work it but only the led lamp turns on. Thanks a lot! Hi, my Bessky Android box 4.4 keeps restarting while using any app or add-on. Are there any solutions for this problem? Hi Yulia. The aux port on the front is most likely an input, not an output. You could try using an HDMI converter like this one between your box and the TV. I’ve never used them personally, so I can’t speak to how they work. Anyone else have any experience with HDMI video converters? Hi Yulia. The problem may have been resolved, but here is my input, just in case. The video converter can be an viable option with an older(aka Legacy)t.v. If it is not a big deal, to you, the resolution, at best, is 420p. This is regardless if the source Box is outputting, 720p to 4K.. The t.v.’s viewable top end is 420p, but it is adequate, especially if the t.v. is just for entertaining children. They are not fussy about the lack of HD, 1080, 4k resolution. The one thing to be aware of is that, you will want to get a video converter that HDCP Compliant(please read up on what that is all about). Otherwise your Box(outputting to your converter) and your t.v. may not play well together and you may only end up, at worst, a black or blank screen and possibly not audio. At best, a picture that may be monochromatic, out of phase, rolling etc You can find these online at places like Amazon. Places like Monoprice sell varous devices that are .HDCP Compliant but are no apparently knowledgeable or aware IT.So it is up to you to read the specs on the box or on lite description and specs. And with all that said, not all HDCP Compliant devices are equal. I can personally attest to the fact that performance can vary not only from brand to brand, but sometimes from within the same brand/manufacturer. I’ve recently bought an OTT MXQ player. I’m not tech savvy, but I can usually figure things out. Here’s my problem. I’ve tried connecting the device to both hdmi connections and nothing, not even the product logo which usually comes up on any device. I’ve unplugged and plugged back several times and still nothing. I did notice that when the device is connected to my T.V., It will don’t let the T.V. remote control operate it. I have to disconnect the device and the T.V. works fine. What do you suggest? I have to admit, I’m stumped on this one. Does the box work on any other TV? If not, you may have a defective box. Either way, the manufacturer’s technical support department should be able to answer this question for you and get you up and running. I have3 different boxes they all hook up to Google but when I try to watch TV or movie it says no connection is their something I,m doing wrong please help . Hi Mike. We would need a little more information to go on to answer your question. Which app is giving that message (Kodi\Plex\something else)? Do you have Internet connection? Can you get to other sites or the Google Play Store? I got an android box as a gift for my birthday but it wont let me put my google account on it keeps telling mee “there was a problem connecting to the google servers try again later” do you know if there is a fix for this? If you’re looking for a high-end Kodi box, check out my “Best Of” list, or my “Cheap Android TV Box” list if you’re looking to save a little money. For Sideloading Android apps, I’ve got a tutorial for that too. Can you stream media from your phone or laptop to the Android TV? like Miracast?? Yup. You can find several streaming apps like Google Cast, Chromecast and Miracast in the Google Play Store and install them on your TV box. Wow, I really like that amazon has there own app store. I have never tried it out. I need to see about using it. I just got an android tv box, and want to use it to the fullest of its abilities. I’ve googled a lot with no luck, hope you can help; I have Plex running on an MXQ Pro and it will only play movies from the remote server that have ACC two track sound. Any DD or DTS multi channel sound movie brings up an error message when I press play (something like ‘can’t connect to the server’ but it is clearly connected, just can’t play it). I’ve fiddled with Plex settings and the MZQ settings, no luck. What to try? How do I connect my single android mini m8s box to multiple tvs in the house? Hi Deborah. Unfortunately you can’t, unless you want to use an HDMI splitter and really long HDMI cables running to each TV. An Android box works like your DVD player does – it plugs directly into a TV, not split between multiple TV’s. And also, the splitter would more than likely need to be HDCP Compliant, in or to view those images on other monitors or tvs. How do l hook up my ABOX android to my Samsung Smart TV. ?? With an HDMI cable? Sorry…I’m not sure I understand the question. I have a windows 10, 2 in 1 laptop and tablet and was wondering how to connect my box? Is it just a HDMI lead? if so the HDMI port on my laptop is smaller than most, will there be a suitable lead? Hi Megan. 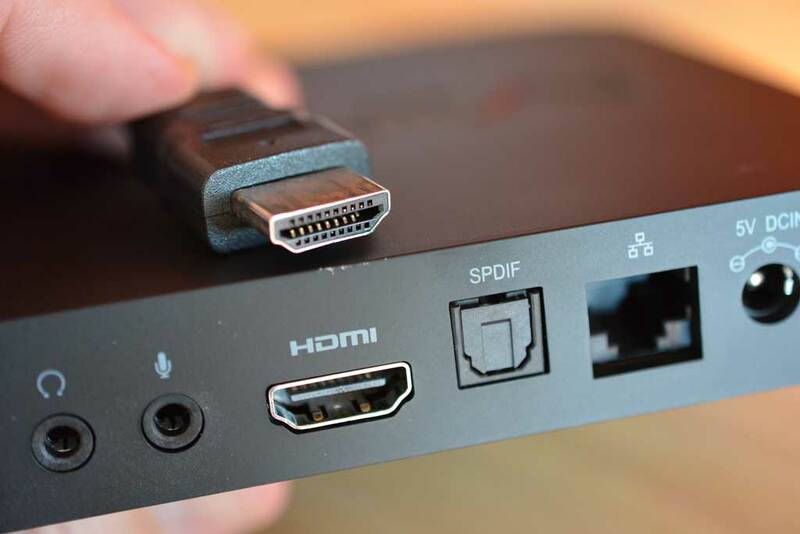 The HDMI ports on laptops are usually ‘out’ not ‘in.’ That same for the ports on your Android box. Essentially, both are for connecting TO a television, not to each other. I’m having issues changing the resolution on the mxq pro 4K. I have gone to the settings and change the display on my own and changed it for it to not adjust automatically but the resolution is still too large for the screen. I also tried changing to zoom out display and nothing changed. If anyone could help it would be great. 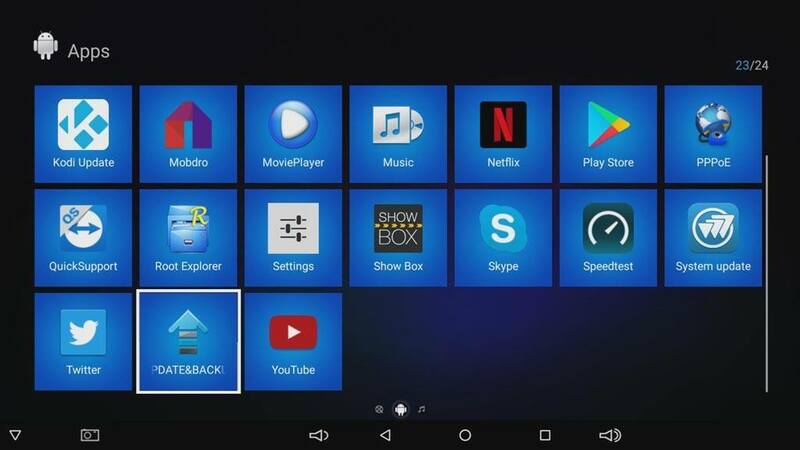 I have a Tonbux m8s android video box. Was working perfectly until 2 days ago. Now when I switch it on it tells me to connect charger and enter a code. Haven’t the faintest idea what this is. Can anyone please help. Hi Krista. Most of the remotes that come with TV boxes are basic units, so you’re not missing much. If you want a better version, you can check out my guide to airmouse remotes here. Hi I have a MX PRO box. It use to work with TWA modem . Specterm came in with theirs and know can’t connect to WiFi. Or it says on there WiFi will not accept connection. I have right password and right name for network. Please help! I am completely clueless when it comes to tech, so please bear with me and any help would be greatly appreciated. I have recently bought a MXQ Pro box…on Ebay (came with very bad Chinese English manual). I have a Panasonic Viera TH-42PZ80BA and sadly the android box will not sync with the TV, all I get is a black screen no matter what HDMI channel or port I use. I have been looking up how to fix issues and have come across changing the box’s resolution to 1080, which is the same as my TV. I have also been told to reset my TV to Factory setting, which terrifies me, as I don’t want to lose everything. The customer service guy from Panasonic told me my TV might be too old to link with the android box, I cannot afford to buy a newer TV!! I have even tried AV cables (red, white and yellow) but they don’t work either? Surely as my TV was able to watch/link with Sky HD is should be compatible with the MXQ Pro? Hello Kelli, There is a possibilty tht the problem could have been resolved with an HDCP Compliant 1 x 2 splitter. I encountered a similar problem of no video and no audio between my 2008 Vizio and my Gen 2 Fire Tv.. I resolved it with the splitter. Please know that not all HDCP Compliant splitters are made equal.You may have to try a couple of different one within the same brand or even different brands.They can be found at Monoprice or online at Amazon, New Egg(I believe) and other places. Please be sure that you see HDCP Compliant on the box, in the specs or you will continue to see a back screen. i am a long time google account holder based in Australia; once i receive my box, would you recommend using my personal account or set up an Android box dedicated account? i am planning on using VPN for obvious reasons and not sure if my personal account details could cause issues. Hi Jurgen. I had a second account for my Android boxes for a while, but I found it to be too much of a hassle. When I use my main account, which is also my primary email address, all of my apps and settings follow me to any new device. That alone is a huge time saver. But, like you said, use a VPN and just be careful. I have recently upgraded my android box to a h96 pro plus box. My old box worked ok.All i get from this is a message saying not supported on a blue screen.My tv is a 10 year old samsung .I understand it is something to do with the resolution.I cant adjust the resolution on my tv as it switches on hdmi automatically.Do i need to buy a new tv and how do i know that is going to work.Can someone please help.Thanks. I had a similar experience with my Gen 2 Fire t.v. and the “blue screen” problem. MY Gen 1 Fire t.v. played fine on a 2008 Vizio 32 inch t.v with hdmi inputs. I plugged the Gen 2 Fire t.v. into the same set, nothing but a blue screen. I happened to have a 1 x 2 HDCP Compliant splitter, which I used between the F.T V and the Vizio. I got picture and sound right away.It is a matter of hardware and/or software that is apparently incorporated in the newer streaming devices and tvs/monitors to interfere with your viewing stuff on not just one tv but additional ones. No telling how many people, purchasing New tvs and streaming boxes of one sort or another, thought that their tvs were defective or their boxes were defective. It depends how you want to connect it. To share files…yes. You can either get a crossover Ethernet cable (not ideal) or set up sharing on your home network via Wi-Fi (much easier). If you mean to watch videos, not normally. The HDMI port on most laptops is a video-out, not a video-in. Great site with many great tips and tricks, thank you. I bought and installed my first Android tv box (T95R pro). I downloaded and printed the set up guide through this website but there is no mention of spam or virus protection for tv boxes. Shouldn’t this be covered? Please let me know your recommendation for virus protection. Hi Jean. I didn’t include virus protection in this setup guide because most people (unfortunately) don’t think it’s necessary. I did write an entire article on why you should have an anti-virus on your streaming device though. Check it out! I have a Amicore Smart TV Box Android Media Player. All plugged in, turned on, home screen showing. Having trouble with remote. On/Off button works but no other buttons are working. When i press buttons either the blue or red lights work but nothing hapoening on tv. Anyone know what the problem is please? I need help with a new box TV. It seems my box arrived without Operating System (Android TV). The box is flashing “load” and my screen flashing the name of my box “X99” undefinitely….I’m able to enter in the setup menu but even the recovery process was unsuccessful. I would like to try to instal android 7.1 froma sd card….How could I find an install file of Android 7 ? Which file’s extension are able to be recognized by the bios of my box as an installation file ?